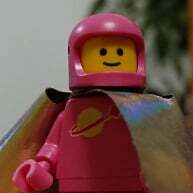 Has anyone watched the episode of the Brickshow which reviews the polybag tumbler yet???? Jason reveals that a UCS Tumbler is coming soon!!!! Can't wait for this!!!! ^I can only wish that comes to pass. With Bats v's Sups now pushed out a year I am sure I read that Lego were looking to fill out the next wave of DC sets which were going to be film but can't be now. No telling what might come, lego could use this as an opportunity to push out something more fan based? Or not, who knows. ^that comment just made me realize they will probably be reinventing the Batmobile again for the Bats v Sups movie. So the time to do anything else Tumbler related would be before that comes out. 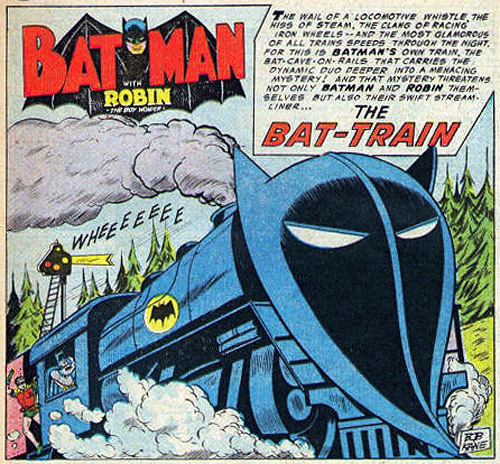 And the sense was when they had to "rush out" the first Batman wave in the new superhero range that they just copied / updated previous sets - so could be plausible that we get a remake of #7888 with a bit of extra greebling! I can see a giant box in the Lego store with the same comment from everyone. "It's a ... black ... tank." Found this 30300 at Target tonight in the US. ^ Do you know the DPCI code? Here's the UPC and DPI pics. On my phone in case they aren't readable the dcpi is 204-00-0291. The registers are full of them. 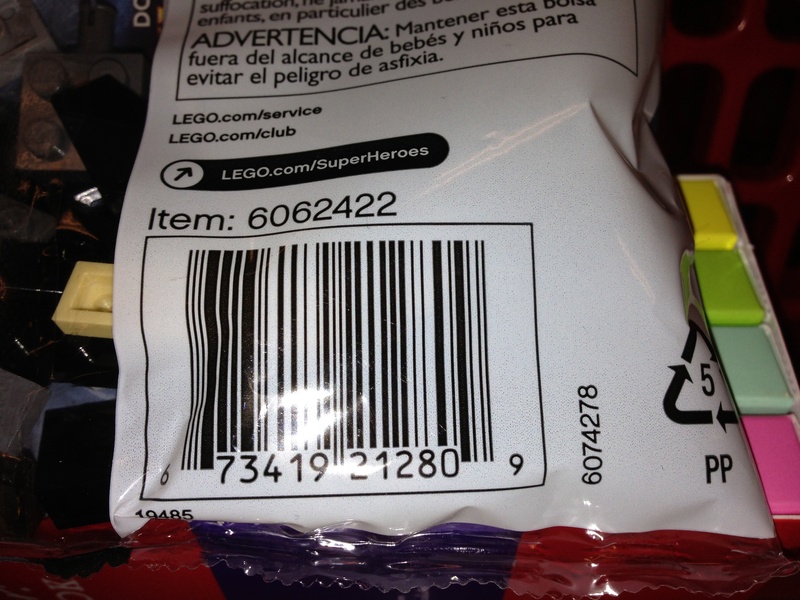 This DCPI number is a generic one used by Target for their polybag's. 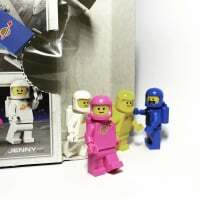 The sales rep showed me a box of them that they had received and it is what they call a LEGO Multi-Pack. The box contains all different poly's, not just one. The ones my local store received were Chima, Galaxy Squad, and City. Unfortunately none of the Batman Tumbler. 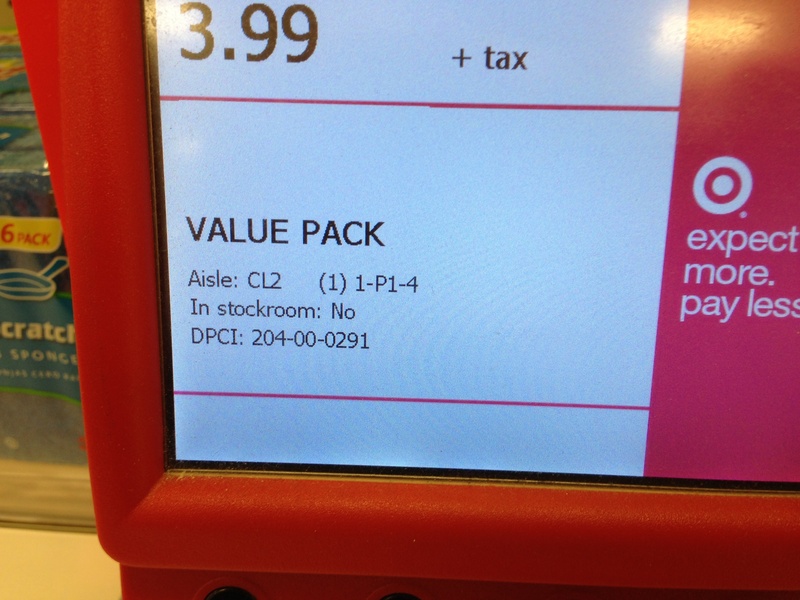 So just an FYI, that DCPI code is not for a specific poly, it is the same number used for any and all poly's Target may receive. ^ The holiday section ones I believe have a separate DCPI. If the store then decides after the holiday to move them to the registers instead of putting them on clearance, which I think has been reported that some stores do, then it gets changed over to the generic one. Yeah thats where all of the ones at my store were, the registers. The ones in the holiday section were city ones. Im still waiting for the Hobbit 30215 set to hit the US. I dont believe in UCS tumbler rumour.There are some facts and previous rumours that can easily make this rumour busted.If rumour about UCS mini cooper will turn true that I dont see plausible release of two big licensed UCS cars in one year because tumbler easily win this match.I also rather buy tumbler than Mini Cooper. But brickshow is youtube channel that Im giving credibility and If this turn false, they lost many fans for sure.This isnt some regular set that can be scraped before release, we are talking about licensed D2C set that are many years in development. There is something interesting in this video .You can found some well known batman propriety resting on table in for fans well known place.But too big than to be some propriety from 7888 set and it has new technic panels for flaps. Also this video provides first leak of metalbeard set ship.This "making of" looks like, that isnt asociated with lego so producers are not beware of leaks. Turn to 2:25, I set timer but it false. The UCS Tumbler has been moc'd up. The license hasn't yet been sorted, but the concept is there in readiness. Very thanks for info :-), so I dont think they will release tumbler this year .There are so much rumoured exclusive sets to be released .But If they release this tumbler in 2015 It will be great set to celebrate 10 years anniversary of first Nolan´s Batman movie. They could also release the set at the end of this year and announce it in October like what they did with arkham asylum. They could consider the batman 75th anniversary as a good opportunity to release it. Any chance it is the Arkham Knight Batmobile? ^ I'm hoping so. I love the Arkham Knight version. Was it confirmed that it's the Tumbler though? Considering the Nolan Trilogy is finished, I'd expect it to be something that's currently ongoing, or something more iconic. I seem to remember the rumours started as the result of a tumbler in the background of a video. Can't really be bothered to read all the way back through the tread to figure it out. But by your logic, I'd not expect an Arkham Knight Batmobile, although the game series is big among gamers I'd say that the 60s Batmobile is more iconic and wider recognisable as the Batmobile. Modular bat cave would be cool. I'm wondering if it's actually going to be the Batmobile from The LEGO Movie...I'd really prefer something that's minifigure scale. One of the most ridiculous sets released without a minifig. ^ A minifig wouldn't have been a good accompaniment, because the vehicle is too big. 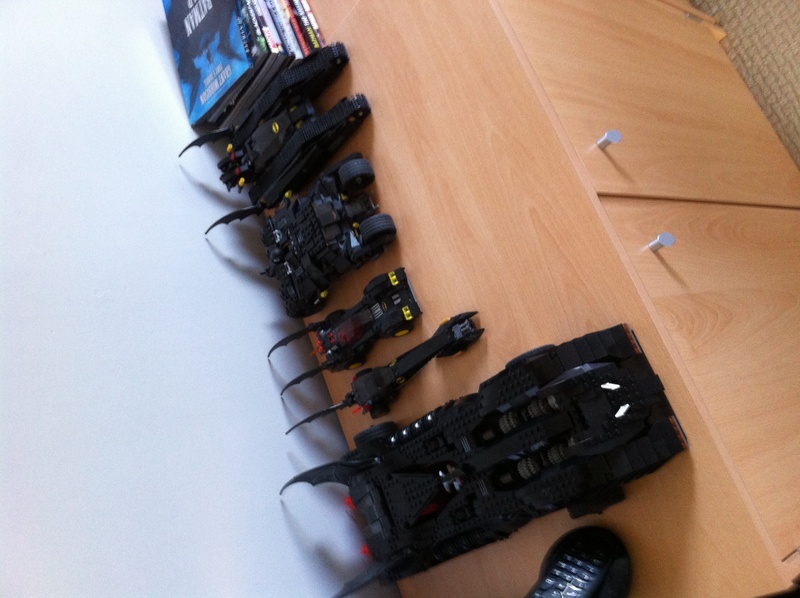 I love the UCS Batmobile, I've never understood why it doesn't seem particularly well-liked. Might be a good thing for me, though, as I might not have gotten it for a reasonable price in the aftermarket otherwise. I second that. I want this so bad! ^ Wow, I love all of those Batman vehicles! Well since the game comes out in October and so does the set it would be logical. But to make this more interesting, what if by modular that means it can be built into different batmobiles? Like imagine the Delorean but for the Batmobile, you can build the Tumbler, 60s Batmobile and Arkham Knight Batmobile etc. Also something to think about, Arkham Knight will have the Batmobile as a driveable vehicle in game for the first time. Rumor has it there is going to be 'skins' for it, so you can drive different versions in game. IMO this would go perfect with the modular concept I described. It's got a towbar on the back, to connect to the Bat-Caravan. 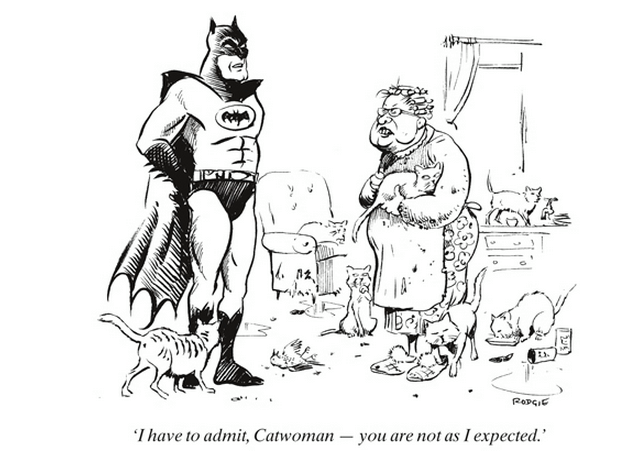 ^ That made me laugh so much that I might just have to get a bat mobile set just to add a caravan! Not to derail the thread but the other prints where the above image is from is awesome. the one with spider-man swinging and is suit splitting is hilarious. Definitely agree! I bought a Batman action figure for mine. 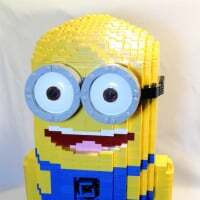 A LEGO minifig looks funny in it. I picked mine up for about $100 not too long ago. 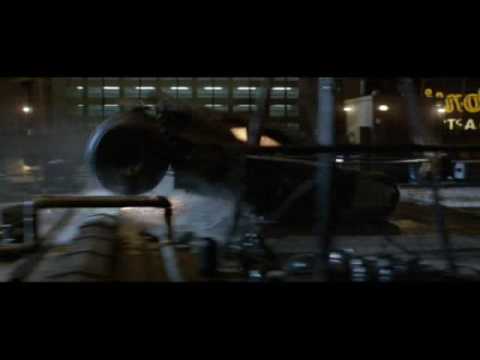 That set didn't rise on the aftermarket the way the other Batman sets did. Peculiar considering what the SW UCS sets do in the aftermarket. I think part of the reason the UCS Batmobile might not be as well-liked as other UCS sets from, say, the Star Wars theme, is that it's not a direct replica of any version of the Batmobile. 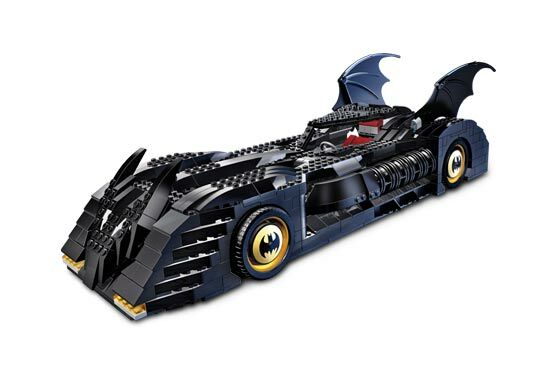 Instead, like most LEGO Batman sets, it's inspired by the general idea of a Batmobile, and by some of the distinctive qualities of certain versions. With the Star Wars UCS sets, a lot of people marvel not only at their detail but at their accuracy — with the Batmobile, there was not an exact subject for it to be accurate to. 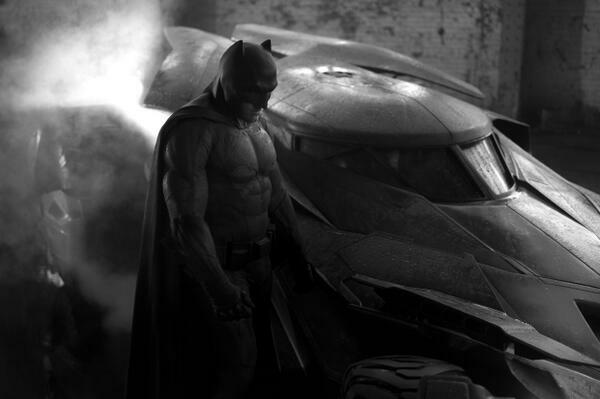 Pic of the new batmobile for Man of Steel / Batman movie project from theverge.com. Looks like a mix of Tim Burton's batmobile and the tumbler. Will be interesting to see what Lego does with it. I see a lot of overlapping wedge plates for the hood. I dont like bumping threads, but in this case i cant resist . 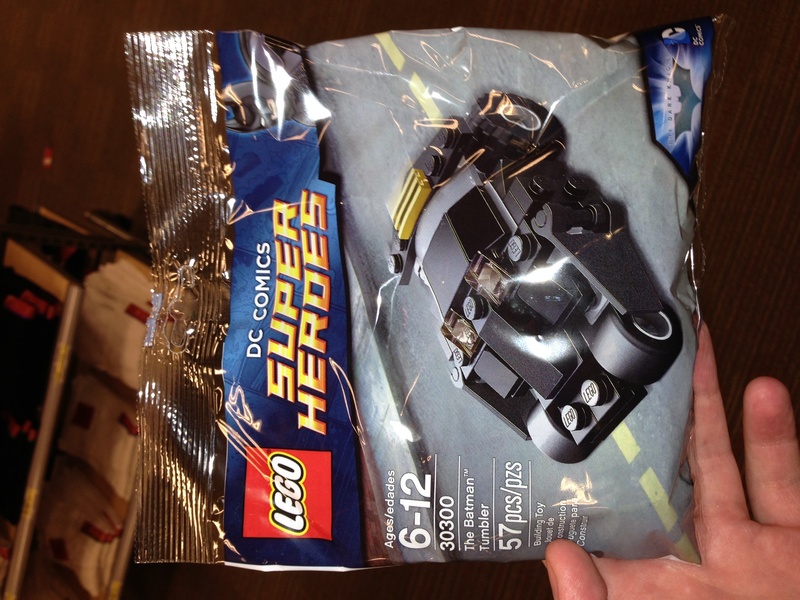 Is there any new info about this UCS batmobile? I think that this year release is busted but 1 january 2015 or some date in first half of 2015 is very plausible. Thanks for info :-) . I haven't heard anything else other than what's posted in this thread. I would love to find one for $100. They're outrageously expensive on eBay!